The success of indoor cultivation in a house or apartment is based upon a simple principle: reproducing the conditions of the outdoors indoors. 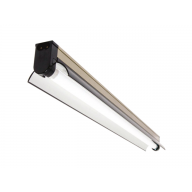 The benefit of using propagation tents and propagation lighting as part of hydroponics is that the cultivator has precise control of the parameters needed for a plant to develop, reproduce, fruit and flower; without the need for major construction and the threat of external influences (such as weather and pests). 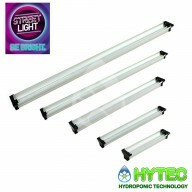 All of the propagation tents & propagation lighting available from Hytec Hydroponics have been tried, tested and are trusted by hydroponic experts. Our propagation tents are covered in strong and durable canvas, so as to be completely hermetic to outside climatic conditions. The interior of the tent is lined with highly reflective material, usually Mylar, but it can also be aluminium or the highly reflective white Orca covering. 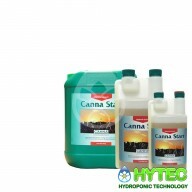 Hytec supply a vast range of styles and sizes from many suppliers to meet most needs from stock! You will find below, a selection of the best grow tents on the market - including BudBox, Gorilla, Trojan and Secret Jardin. 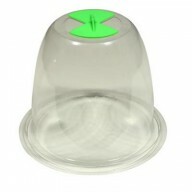 To view our range of Propagation Tents and Propagation Lighting, click on the sub-categories below. Hugo Blocks Grodan’s answer to the pot. 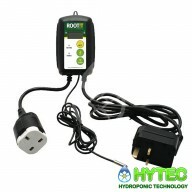 Ideal for deep Ebb & Flood tables, drip irrigation or hand watering in a pot. 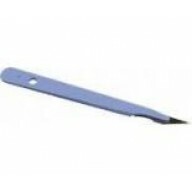 Compatible with propagation cubes. ..
HUMIDITY DOME This humidity dome sits neatly on plant pots. making the transplant of cuttings or seedlings less stressful, as the high humidity around the plant will help the plantlet root faster and lead to a healthier better yielding plant. 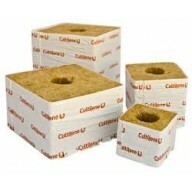 ..
Made from composted organic materials, these new cubes have a great spongy texture which retains the perfect air/water ratio for healthy, rapid root growth. 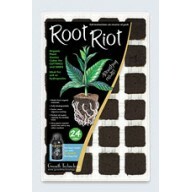 Suitable for both cuttings and seeds, Root Riot consistently outperforms alternative media. 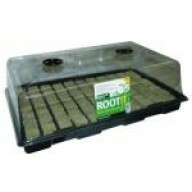 The cubes are specially inoculated with micro nutri..
Root Riot propogation plugs 24 tray This insert and tray has been completely redesigned and is considered to be the best on the market. 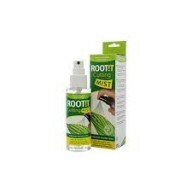 Not only is it filled with ROOT!T Natural Rooting Sponges, it is tough and durable whilst also not allowing any pooling. It really does help to grow..
Large Propagator A controlled consitent environment is a crucial factor for success when it comes to cuttings and early seedling growth. 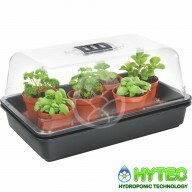 Grow your own plants from seeds and cuttings with this simple and easy to use propagator. 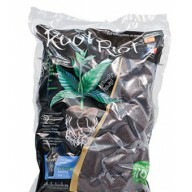 It has adjustable vents for control of humidity..
Root Riot Organic Propagation Cubes - 100 Bagged - Faster more vigorous rooting - Organic and fully biodegradable ..
Stewart Medium Heated Propagator (38cm x 24cm x 21.5cm) Fixed temperature heated propagators featuring a sealed heating unit - insulation beneath the carbon heating mat maintains selected compost temperature at 15-20°C under normal conditions (the temperature can be affected by ambient temperatur..
ROOT!T Heat Mat - Medium Get a jump start on young plants with the ROOT!T Heat Mat. 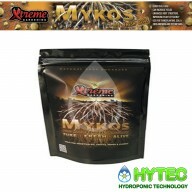 Adding gentle heat to your plants can speed up germination by days! 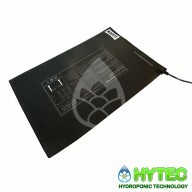 ROOT!T Heat Mats offer more uniform heating than others on the market, the single mesh element is encased in waterproof fray-proof layers. 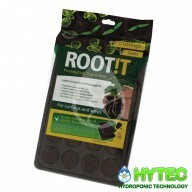 ROOT!T..
Easy2Propagate Lid If you really have got it all but want to take your propagation to the next level then the easy2Propagate Lid is for you. 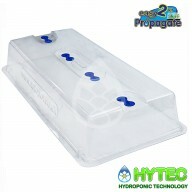 The easy2Propagate Lid gives you the size and adjustability to grow responsively. 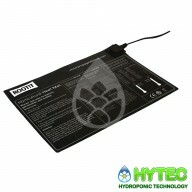 You can transplant sooner or later according to your climate, your chosen ..
ROOT!T Heat Mat - Large Get a jump start on young plants with the ROOT!T Heat Mat. 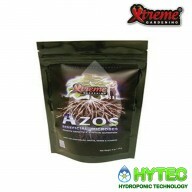 Adding gentle heat to your plants can speed up germination by days! 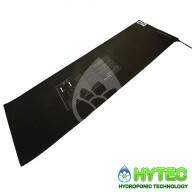 ROOT!T Heat Mats offer more uniform heating than others on the market, the single mesh element is encased in waterproof fray-proof layers. 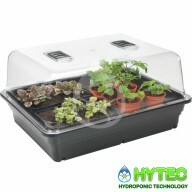 ROOT!T ..
Stewart Large Heated Propagator (52cm x 41.5cm x 28cm) Fixed temperature heated propagators featuring a sealed heating unit - insulation beneath the carbon heating mat maintains selected compost temperature at 15-20°C under normal conditions (the temperature can be affected by ambient temperature..